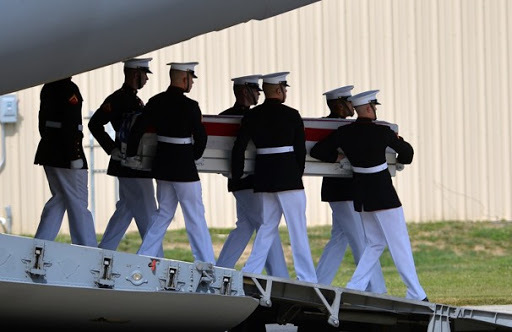 The story of four Americans killed in Benghazi grows more horrifying each and every day. This should be considered perhaps the biggest scandal in Presidential history. Does it feel like it’s brig reported as such? Fox News has learned from sources who were on the ground in Benghazi that an urgent request from the CIA annex for military back-up during the attack on the U.S. Consulate and subsequent attack several hours later was denied by officials in the CIA chain of command — who also told the CIA operators twice to “stand down” rather than help the ambassador’s team when shots were heard at approximately 9:40 p.m. in Benghazi on Sept. 11. Three separate requests for help. They were told to stand down. They were left to die. Next post Video: Father of Slain SEAL - Administration "Murderers of My Son"